I finally found the right secondary shoe for my Camino – the Umara Z-Trail Ultralight Sport Sandal by XeroShoes. Below are the reasons and my initial review. For those packing ultra light for the Camino, two pairs of shoes are all you need. The secondary shoes you bring on the Camino are almost as important as your hiking shoes. They are what you switch to when you are done walking for the day and to let your feet breathe. They can be worn around town and for shopping runs once you get settled into the albergue or hotel. 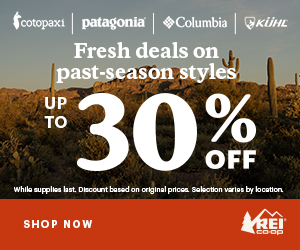 You might wear them in the shower or for cooling off in creeks or lakes. They’ll be a welcome source of comfort. Everyone has their own preference on what secondary Camino shoe works for them. There are a ton of options out there, so it’s best to look around and try different styles. I’ve heard people swear by covered-toe Keens or Merrill sandals. Some rave about Crocs, and some like plain and simple flip-flops. Of course, there are many options within these types of shoes. I looked at my existing shoes first and the options were flip-flops, Tevas, or Croc clogs. I seriously considered and tested these on dog walks in my neighborhood. The flips wouldn’t have enough support for longer walks. The Tevas have more support but the straps are thick, which could take a while to dry out. The Crocs are light, but they rubbed on my toes, which would cause blisters if used for longer walks. I wanted something lightweight yet with good support and rugged soles. I have high arches and wide feet. I also have unusual bones that protrude below my ankles, making it appear like I have double ankles. Lovely! Not. Some shoes rub too much on this bone zone so I have to be careful what I wear. I remember getting the worst blisters there when I wore ski boots. I heard many people rave about Chacos for the arch support, so I bought a pair from REI outlet. There are many styles of Chacos, but I didn’t feel like paying $100 + on my secondary shoe. I couldn’t believe how hard the soles were! It’s true, they have a significant raised arch, which might be good for people with high arches. I feel like I would get bruises where that arch bump is because the soles are so hard. I also don’t like the heavy clonk and snap sounds they made as I walked, which could be annoying when I need to use the restroom in the middle of the night. I saw an ad on Facebook in March about these new Xero Z-Trail shoes. I decided to go for it and bought a pair in the pretty red pepper color. These Z-Trails are a bit like Tevas, but with thinner straps and soles. Watch this brief video comparing the weight of Z-Trails to another sport sandal. The bigger your feet are, the heavier your pack, so weight (and bulk) matters. Take a walk — anywhere you like, from a mountain trail to an urban jungle. The comfort of the Z-Trail will surprise you. #FeelRealFun — do whatever you like in your Z-Trail. With our 5,000 mile warranty, they can handle it. When I received, them I loved how light they were and the straps didn’t bother my bone zone. Here they are with my red-hot chili pepper socks. One of the nice things about these shoes is you can wear socks if your feet are cold. You can’t do this with flip-flops (unless you wear toe socks). I also like that they’re adjustable and the Velcro strips don’t make a loud rip sound when you take them off, like my old Tevas do. My first test of the Z-Trails was to see if I could really do yoga in them. Before I wore them outside, I did yoga in my bedroom with them on. Barefoot yoga is always preferred, but I wanted to see if I can use these on the Camino since I won’t be bringing a yoga mat. Sure enough, you can wear them doing yoga! I did one of my favorite hour-long practices and they didn’t get in the way. They are so light, and the grippy bottoms kept me from slipping. These are half the weight of the Chacos, at 254 grams (8.9 ounces), just over half a pound. So far I’ve worn them on dog walks and at the Wanderlust SF 108 Festival. I will write a follow-up review after I use them on the Camino. They will have to pass the test of walking on cobblestone streets in Portugal. I plan to wear these in the shower, so they need enough grip so I don’t slip. I am also curious to see how fast they dry. My initial review is that these Z-Trails are keepers! I love the color, fit, weight, feel and rugged soles. I appreciate smart design and these are the best I’ve tried for my Camino. See http://xeroshoes.com for more details. I will post a review of my primary hiking shoes soon. I need to test them with insoles first. Until then, see you on the trail, or on the Camino Portugues in 2 weeks! Great article although I love my Chacos. That said, what kind of arch support do these bad boys provide? I’m thinking of going Imelda Marcos with my sandalls, i.e.,never enough! Hi Steve, Good question. The arch support is minimal. Not 100% flat like the flip-flops, but almost. I haven’t walked more than 2 miles at a time in them so that will be part of my next review. I might even test with insoles in them. I am trying a pair of 3/4 insoles in my hiking boots now and love the extra spring in the heels and built up arches. I’ll be interested in how they are, too. So, looking forward to your post-review. You must be almost ready to fly east–have a great hike! Want to keep your feet cool this summer? Take a look at this post! Great looking pair of sandals, I’ve an older pair of the very basic sandal (toe post style) from before the name change to Xero shoes and was wondering about bringing them as the second pair/shower shoes however i think that they are heavier than these new sandals. I’ve also been considering my trusty old crocs as they are comfy enough for walking in, dry quickly and although they are bulky they are light. I’m curious whether the strap attachment point at the pinky knuckle bone will be an issue? Is the strap upstand at that point stiff or soft? I look forward to hearing how you get on using these in Portugal as that is also my intended route next year. Great blog, keep up the entertaining and informative articles! Laurie, this is such useful info to me! I’ve been trying to find the right sandals for years…more accurately, I’ve been wishing someone else would do the research and let me know the best solution. And now you’ve done that! Big thanks. And yes, please let us know your next level of assessment. Ultreia! I’ll be very interested to hear how the Z trails work for you. My only concern is the lack of an arch. I have high arches and they look like they might be too flat for me. Keep us posted. Laurie, thank you so much for bringing these shoes to my attention. I also have wide feet and was losing hope that I would find a secondary shoe. I ordered a pair and have been wearing them for a few days and so far I am in love! I also went with the red and they’re much cuter than I was expecting. Looking forward to taking them with me on my Camino Portugues in October. Loving your CP reports! Hi Jill, I’m glad you found the ztrails shoes work for you too. Running in the rain that night in Pontevedra was the biggest challenge. The tread is great and they are so lightweight. Thanks for following. You will love the CP. Buen Camino! 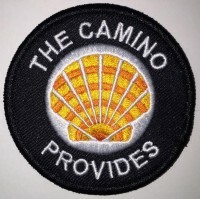 So… After taking them on the camino, how did you find them? Just for evenings or were those also good for long days spent walking?